Welcome to Arnaud Archives! 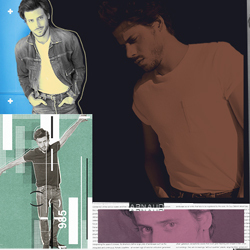 This site aims to be your ultimate source on all things related to Canadian actor, François Arnaud. He is best known for his role as Cesare Borgia in the Showtime series, The Borgias, which aired from 2011-2013. He recently guest-starred as Oscar in the hit NBC series, Blindspot, and currently stars as Manfred Bernardo in the adaptation of Midnight, Texas on the same network. The gallery is still incomplete, but it currently contains over 8,000 photos, and will continue to grow as I add more stuff. I have so much stuff to sort and upload, but I really wanted to have the site open before the series premiere of Midnight, Texas. I hope you all like the site and come back soon for the latest updates! You can also follow us on Twitter at @ArnaudArchives.